Posted on March 17, 2019 March 18, 2019 by Melanie Ormand - No Comments on Call Me Silver‐Haired Devil? From the road, Buc-ee’s beckoned. Rather, my gas tank and bladder issued a joint siren call. One empty, one full, and both talking for 48 long miles. Why did I wait so long—nearly an hour—to answer? 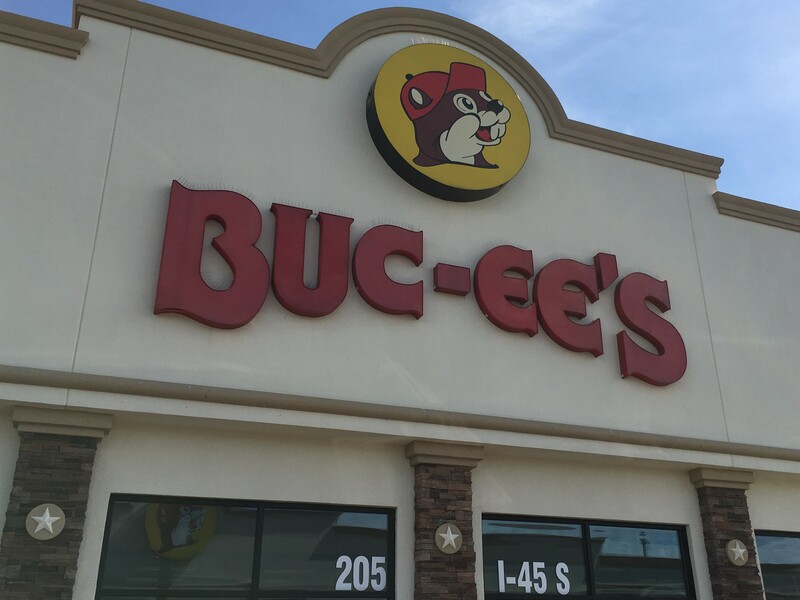 There’s gas stations and there’s Buc-ee’s. The Madisonville, TX store promises the most‐est in unique memories for any road traveler. Dozens of gas pumps and restrooms. Hundreds of drink and food offerings. Few of them good for you. Thousands of worthless trinkets from clothes, rockers, backpacks, and the unrecognizable. The line of cars to enter the two parking lots offered first warning. An unruly crowd paced the parking lot I entered. Women holding children’s hands. Single men holding up their own hands, stopping traffic. TLC and Privilege butting heads with cars, both snaking around and between anything that moved. Which was everything. What else is Buc-ee’s but a joint that moves, like a Friday night dance floor on the second round of drinks. Inside the store, agitation spiked. Lines wiggled and squiggled as young, middle‐aged, and old jockeyed for quicker access to the need du jour. The longest lines surrounded stations for drinks, sandwiches, and candy. Understandable. Road trips extort stomach energy and activate head nerves. Both sets of bathrooms bore growing lines. Have you ever seen a man forced to wait to do his business? It was the antsiest column in the building. I smiled. After years of traveling Interstate 45, I’d never seen this degree of traveler mania. Questions flooded in. What’s wrong? Why this edgy‐nervous‐tense mood? Who lost a football game? That last question was valid—Texas A&M isn’t far from Madisonville. Then I remembered: Spring Break. Last weekend. Then I looked away, upward, to my rearview mirror. 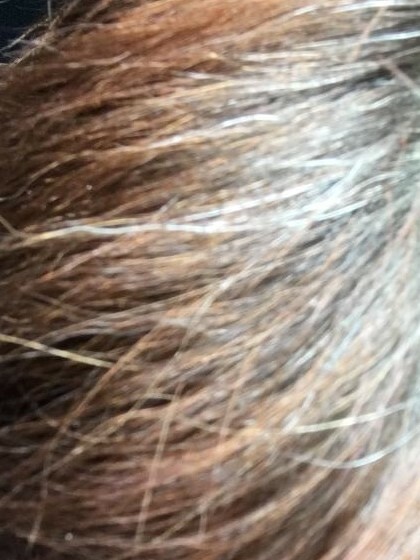 My first gray hair. Actually, gray hairs. Plural. What color are they? White? Gray? Silver? 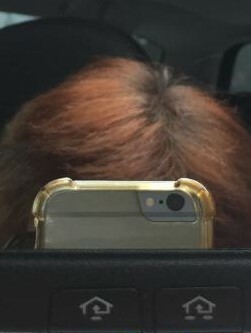 Amid the splash of red and brown that threads across my crown, when did bleach join the party? The longest white strand looks at least six inches long. That’s an easy six to nine months of hair growth. How did I not notice this earlier? Psychic blindness? To my naked eye, these invaders loom larger than Antarctica. Soon enough, they won’t loom. They’ll rule. Is this Mother Nature’s belated 62nd birthday present(s)?